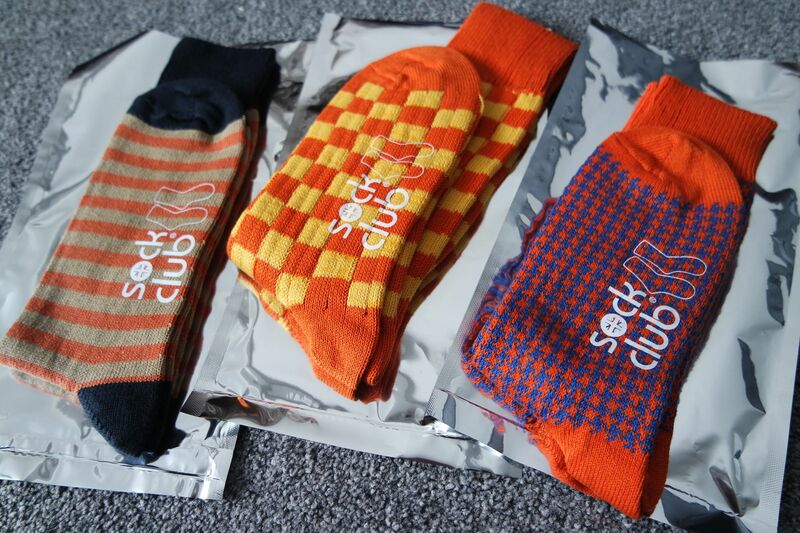 Did you know, the average man buys 5.6 pairs of socks a year? 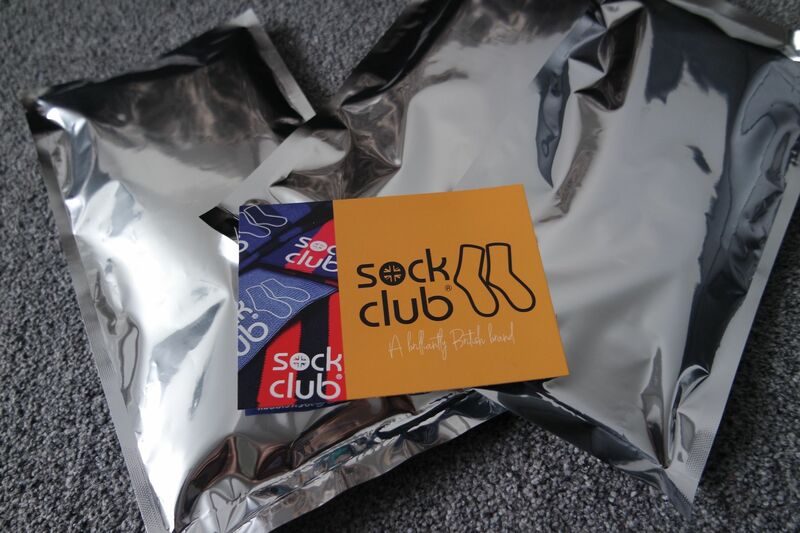 With Sock Club you can receive 6 pairs of high quality British made socks straight to your door! The socks are British made using ring spun cotton making them super soft to touch. You also have the option of selecting what size you want: 6-11 or 11-15. My husband wears a size 10 and I am usually a 5 so I can get away with stealing his socks if he has the 6-11 option!! If this isn’t your sort of thing but you want to have a look at their range and buy a one off pair then check them out here. It’s that time of the year where the swimwear hits the shops. I wanted to find a few bits for my upcoming holidays so picked a few bits from PrettyLittleThing. Not only do they have a massive range of swimwear they have a lot of cover ups too so you choose a whole outfit and mix and match. I love how many different choices they have, there really is something for everyone. Some bikinis come as a set but most you can pick the top and bottom separate so this is great if you like mixing colours or if you are a different size top and bottom! I find it so important when looking for swimwear that it is something I feel good wearing as well as looking good. I want something I can wear around the pool to sunbathe and also swim in as well as something to put on top of my swimwear if walking about or going to the bar! All of the options I went for were a size 10. I am usually an 8/10 in bottoms and a 10 in a top. All of the things I chose fitted really well. I opted for a black scallop bikini and teamed it with a gingham dress. I picked a separate bikini top and bottoms but both in black so they went well together. I chose high waisted bottoms with the plunge bikini top and finished the look off with a green halterneck dress. I decided to mix it up a bit and went for zebra bikini bottoms and a simple black triangle top. 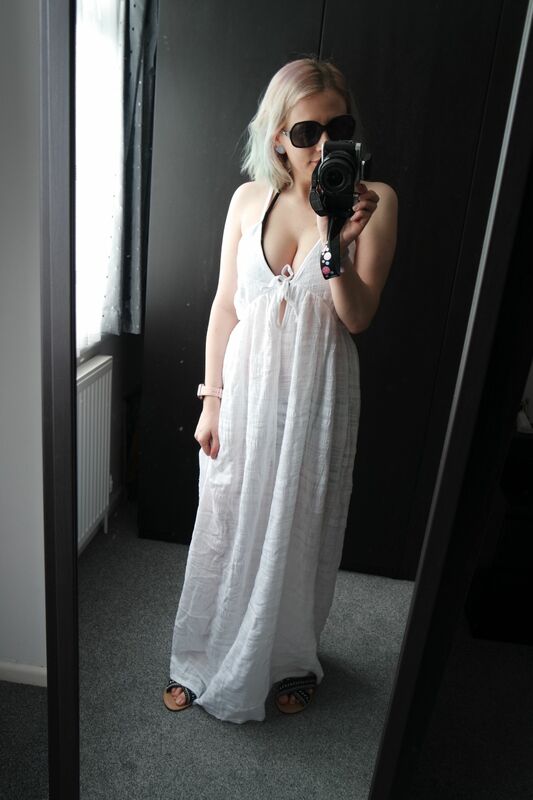 I also went for a white dress. I was impressed with the quality and prices of all the items I picked and they all fitted well and were comfortable to wear. Roll on the sunshine so I can wear them! Are you going away this year? Where do you usually buy your swimwear? 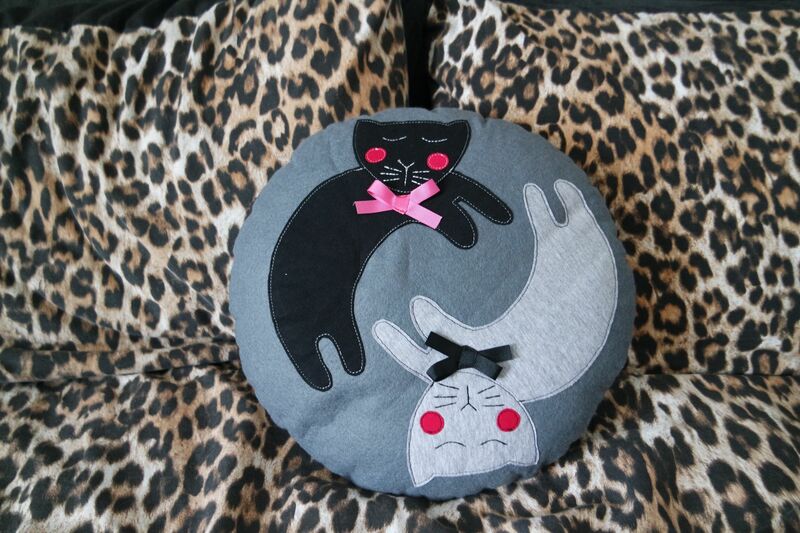 I love coming across cute home ware websites, this one also does clothes and they have the cutest cat items! I love this design and I love how it is two cats as we have two cats that are best friends and are inseparable so it reminds me of them. I think the bow feature is so cute. The cushion is a good size and a neutral colour scheme so would go with any colour scheme. This t shirt is so so comfy and a great oversized fit. I love light grey clothing and it looks great with leggings. It is so cute but not too in your face. The bow is super cute too. I went for a M so it would be longer. 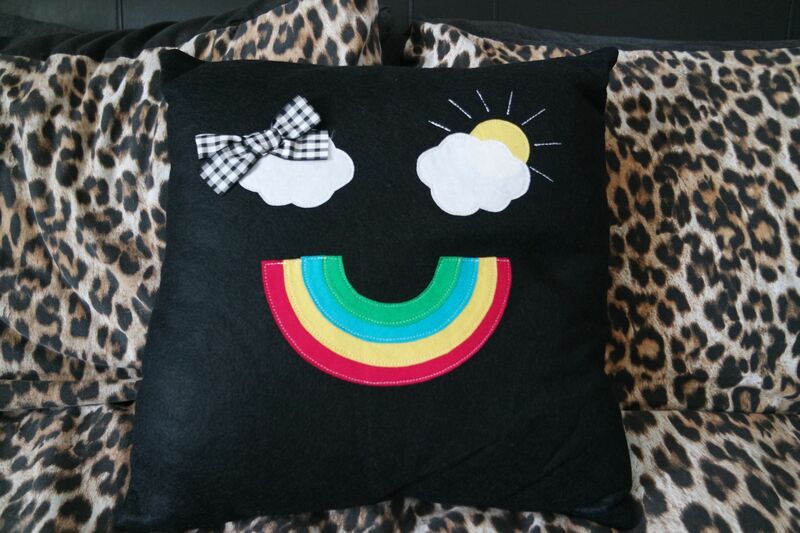 This cushion is so bright and cheerful. I love the contrast of the bright colours on the black cushion. It will certainly brighten up any room! Have you heard of this website before? If you read my blog regularly you will know I am a big fan of Femmeluxe clothing. They are really affordable but great quality items. I have mentioned before how well I have gotten on with their products and how the sizing is spot on. I usually always go for S/M or a 10. I went for the jacket in a M as I like to have larger jackets and room to layer underneath. 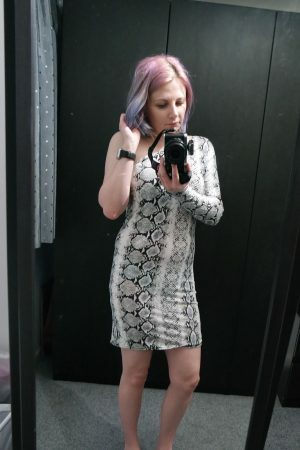 The design is a beautiful snake print and it is very soft and stretchy. The length is good and it is very comfortable. I really want to get this in a plain colour like black too if they do it. 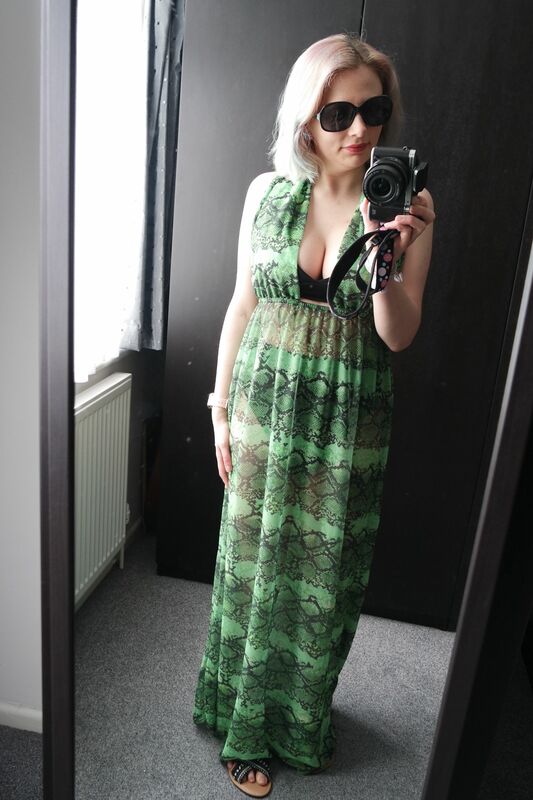 I was unsure how it would look once on and I worried my underwear would show but I just put on plain knickers and a strapless bra and you couldn’t even see underwear lines or anything through the dress, really impressed! So impressed considering the price! I find their dresses are always soft and comfortable. 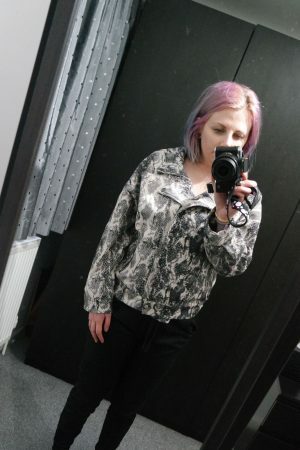 I am really loving animal print at the moment so this jacket is great. It would look really good with any outfit, especially over a plain black dress or something with black leggings. I went for a M so it was slightly over sized and I think it looks great. It would look good left open too. All of their lounge wear sets are super comfy. The material is quite thick for a lounge wear set and I love anything black. 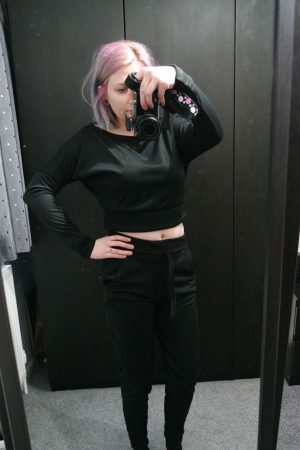 The trousers fit perfectly and I love having a cropped top to go with it. Ideal for wearing around the house or to wear when working out. This is a off the shoulder set but I prefer to wear it on both shoulders so just have it as more of a wide neck but it is nice to have the option. I think to get two items of clothing for this price is so good. You can either wear them together or wear them with anything else really. The trousers would look good with any hoodie/jumper or top really, they don’t necessarily have to be worn as the set. The set is ideal if you want to wear sportswear but look a bit nicer if you know what I mean. You can’t go wrong with a jumper, especially from this website. All of their jumpers are well made and are comfortable and this one fits really well and I like the style of the neck. It is good quality and perfect for this time of year as it is quite thick but not too thick that you would get crazy hot in it. It is ideal for this time of year when you want to be warm but don’t want too many layers on as you get too hot! It would look great with jeans or leggings. I think the colour is super bright and I love it! As I previously mentioned, the prices are so reasonable too and considering how cheap they are, they are really great quality. The thing I like most about this website is that they have so many choices and something for everyone. I’m not a massive fan of tight revealing dresses and prefer to be covered up a bit but everyone has their own taste and they have such a wide variety of styles. The delivery is always super quick too which is great, as I hate having to wait ages for online orders to turn up! If you follow my blog and read it regularly you would have seen me post a couple of times about Femmeluxe. They are an online clothing store with a great range of dresses, jumpers, loungewear etc at such a great price. 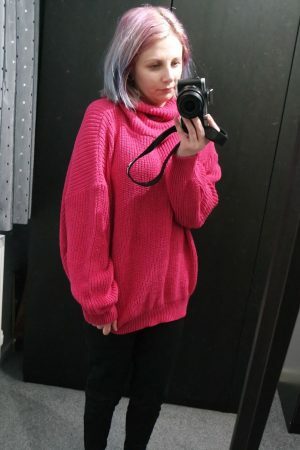 I was so impressed with the grey jumper that I previously got and reviewed here that I wanted to get a few more knitted items. I ordered all of the items in a small/medium which is a UK 8-10 and I find this is the best size option for me and they fit really well. 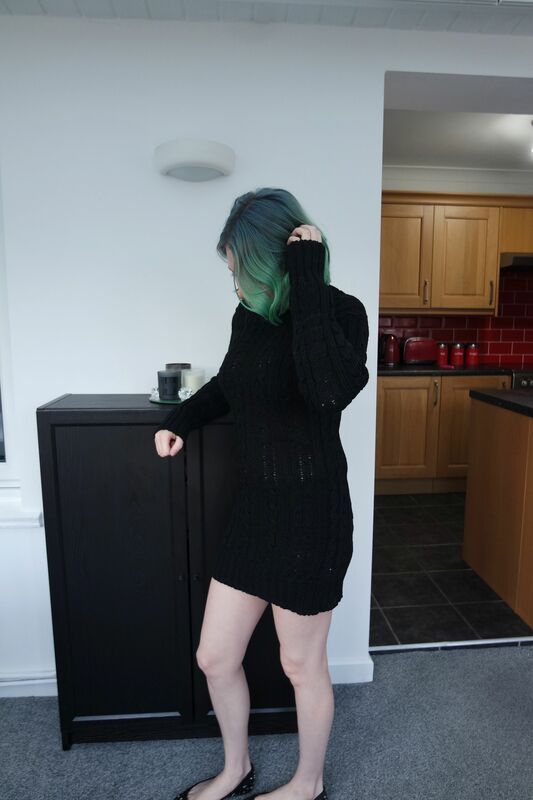 This dress fits really well, I have never tried anything like this before, I usually go for oversized jumpers so never tried a tight fitting jumper dress. It is really soft and comfortable and you can’t see your underwear through it which can often be a problem with tight fitting dresses. It would love great with or without tights and would look good with high boots or normal boots and also if you wanted a bit more causal look you could wear it with plimsolls or trainers. The quality of these leggings is great. Often leggings can be thin and show your underwear which isn’t ideal but they have enough coverage so you can’t see through them. They are quite thick so ideal for the winter and teams with a jumper it makes a really comfortable outfit but still looks like you have made an effort to dress up. Ideal with boots of trainers depending what look you are going for and really soft and comfortable to wear. I might get another pair and add these as staple piece to my wardrobe. Black leggings go with anything! This jumper is so cute and I love anything animal print. It looks great with leggings or jeans and even though it is cropped it is long enough to cover yourself. 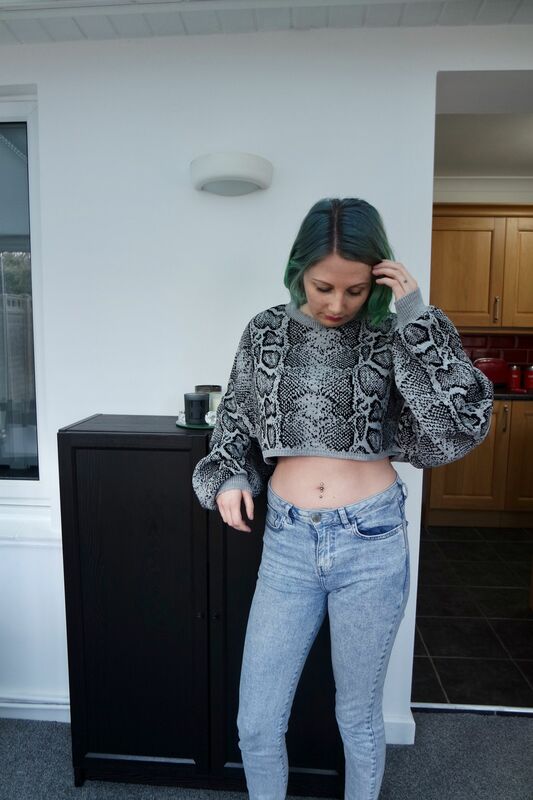 It is the perfect length if you are looking for a cropped jumper. They also have it in other colours. 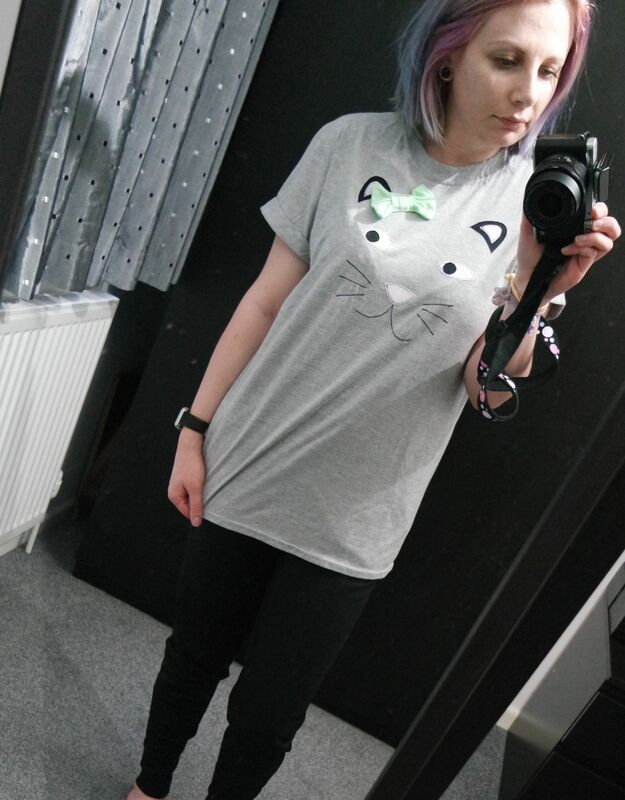 The pink/red one looks so cute but would clash with my current green hair so went for the grey one. Animal print is really trendy at the moment so this is a great wardrobe staple. 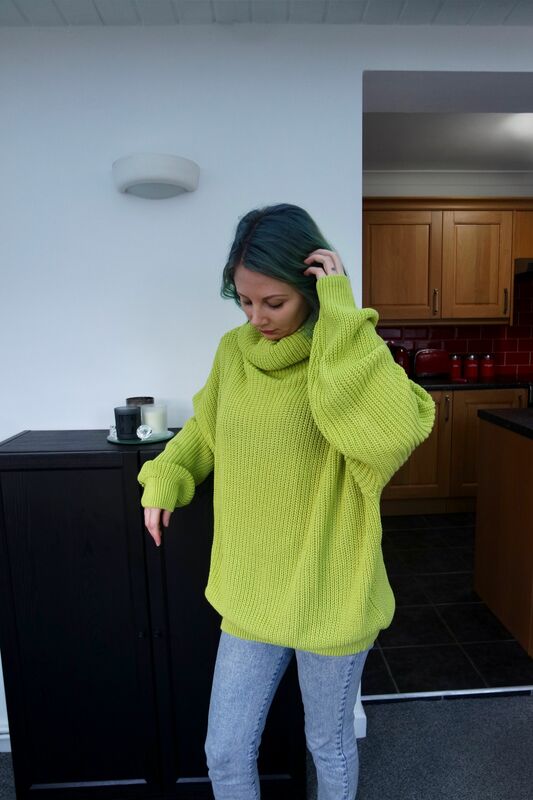 It would be great to wear later in the year when the weather gets nicer but you want to still be comfortable in the evenings when it gets chilly. I love the colour of this jumper. As I currently have green hair I am quite limited to what colours I wear. Obviously black and grey and neutral colours are ok but if I want to wear anything bright I have to be careful about what option I go for so it doesn’t clash with my hair. This lime green is a great option and makes a change from wearing black! It fits really well and I like the style of the neck. It is good quality and perfect for this time of year but not too thick that you would get overheat. As I previously mentioned, the prices are so reasonable too and considering how cheap they are, they are really great quality. They really do have choices suited for everyone. The delivery was super quick too which is great, as I hate having to wait ages for online orders to turn up! Have you tried anything from Femme Luxe?